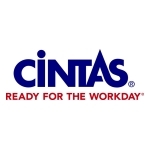 which includes Chef Works and Design Collective by Cintas garments. and repurpose the remaining fibers for future use. the Standard & Poor’s 500 Index and Nasdaq-100 Index. about the programs, visit members.marriott.com.